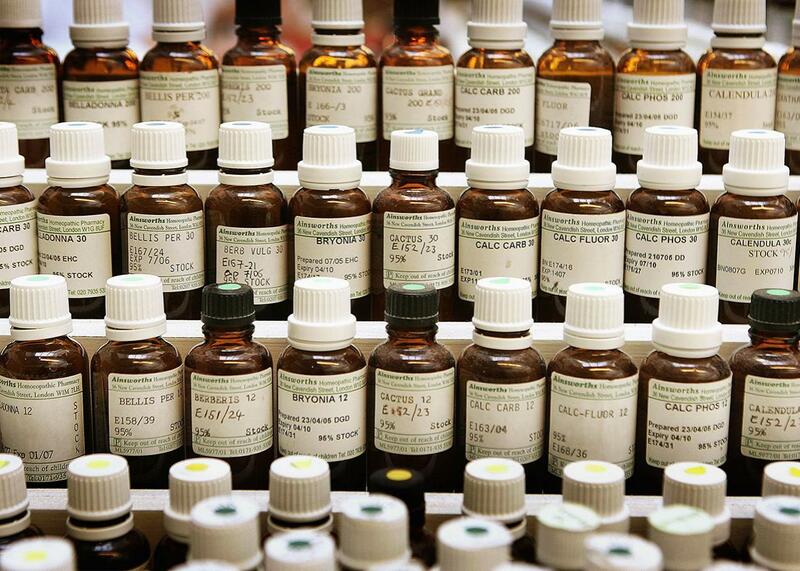 The FTC’s new homeopathic medicine rules will backfire. But for the people buying them, this will make them even more attractive. These remedies sure look scientific. The Federal Trade Commission just cracked down on an unusual product that has long enjoyed exemption from regulation: homeopathic drugs. Available everywhere from Whole Foods to CVS, homeopathic products are advertised as an effective way to treat a wide range of conditions. Just the “H” section of CVS’ online homeopathic medicine webpage mentions hay fever, head injury, hemorrhoids, high blood pressure, HIV support, and hypertension. According to 2007 government data, Americans spend over $3 billion a year on homeopathy, and the market appears to be growing steadily. Nevertheless, practitioners and patients alike have successfully championed homeopathy into the present day. Unmoored as it is from the rest of conventional scientific thinking, regulators have had no idea how to classify homeopathic products. Most products are engineered to contain only infinitesimally small amounts of the active substance, which means they are almost always harmless. Consequently, until now, the FDA and the FTC found it easier to take a hands-off approach, which means that homeopathic medicine packaging has been basically governed by practitioner-authored guidelines and the FTC’s general injunction to be truthful and not deceptive. That the FTC decided to regulate homeopathic medicine may seem like a step in the right direction. But the mandate they’ve come up with—to require disclaimers on these products—is nearly as lacking in scientific evidence as the products themselves. Requiring disclosures will probably do nothing to help people realize the true nature of what they’re buying. Time and time again, studies have shown that with few exceptions, “This claim has not been approved by the FDA”–style disclaimers do little to inform consumers or change their purchasing habits. As I reported for Slate in 2014, the FDA’s own studies show this, with most disclaimers making no difference and some actually making heath claims appear persuasive! 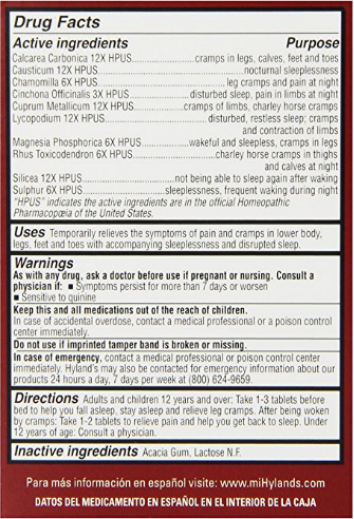 The FTC’s more recent studies on homeopathic medicine disclaimers are not encouraging, with 25-45 percent of consumers reporting that homeopathic products are FDA approved—after looking at a package with a disclaimer that says they aren’t. Homeopathy compounds the problem. (That’s a homeopathy pun.) The labels on these drugs look incredibly scientific. They’ve got weird units (12X HPUS), and technical-sounding ingredients (Cuprum Metallicum), and even name-drop “the official Homeopathic Pharmacopeia of the United States.” The whole thing evokes a standardized, highly refined system, and for reasonable people unfamiliar with homeopathy it’s understandably hard to believe that products based on such a system that make health claims and are sold in CVS could actually be nothing more than placebos. What’s worse, the second point required by the FTC’s new labeling standards may reinforce some consumers’ beliefs in the efficacy of the product. Prior beliefs and confirmation bias have a strong effect on how we process information. Those drawn to homeopathic medicine are more likely to be skeptical of mainstream medicine, a preference that homeopathic advertising plays to with its emphasis on descriptors like “natural.” To read that most modern medical experts don’t accept homeopathy highlights the anti-establishment allure of the product. Similarly, the appeal to antiquity means that mentioning homeopathy’s ancient origin will actually serve to bolster its plausibility. After all, goes the fallacious thinking, if it weren’t true and didn’t work how could it have stuck around for over two centuries? When these questions are the only tools in the public’s epistemic toolkit, the gates are open to all sorts of pseudoscientific nonsense, from quantum healing to a lot of what has passed as macroeconomics. Confronted with an epidemic of inadequate education, I can see how it would be tempting to administer it on packages in an ultra-highly diluted form. Doing so, combined with anecdotal evidence of success, might even make us feel better about the problem. But that feeling isn’t based on actual improvement. It’s just wishful thinking and the placebo effect. And while placebos are often useful, in certain cases they can be dangerous, allowing the patient to ignore an illness until it’s gone too far. We wouldn’t want that to happen to someone taking homeopathic remedies for a serious disease. Let’s not let it happen with disclaimers and public scientific literacy.